Can you believe it? I can, and then sometimes can't. 30 was fun but 31 just sounds odd. Maybe its because it is an odd number in itself. I don't know. It just feels weird to say I am 31 years old. I think I'll like 32 better. That was always my best friends pager code number (remember pagers? the pre-cell phone days) in high school so it's always stuck with me. Weird example - every time I turn the radio up and the volume is on 30 I go a little higher to 32 just because its a good memory of a number. Am I crazy or do you guys have emotional relationships with numbers? Anyways, all this to say. I don't feel strongly connected to 31 yet. Maybe I'll get there soon. At least I have a year to think about it. My birthday weekend was so fun! 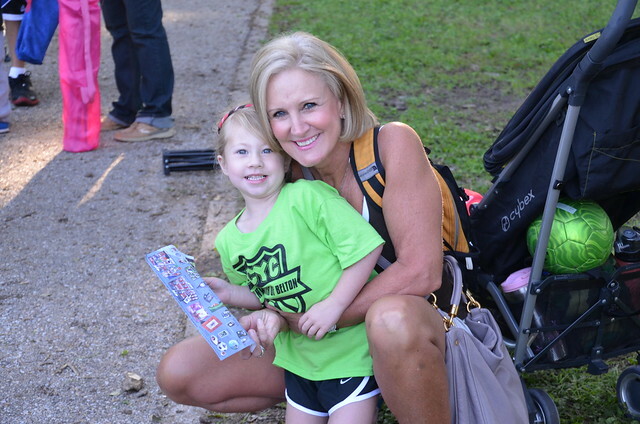 My family came in town on Friday and stayed with the kids Saturday night, while Bob and I spent a night in Austin. 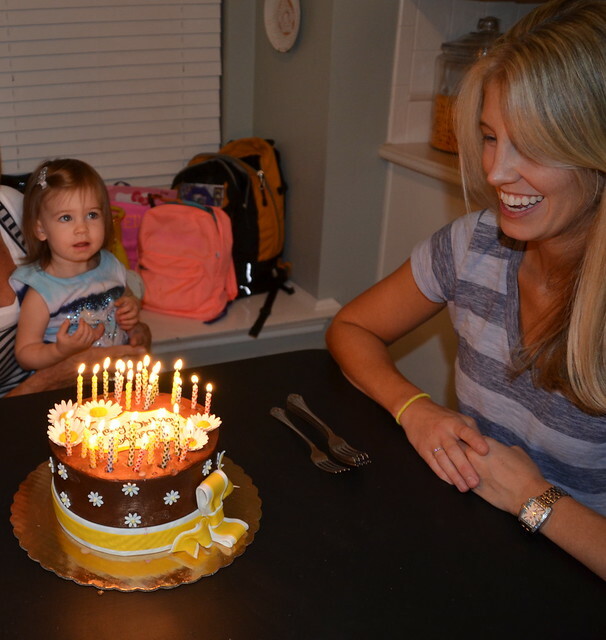 It was so so nice celebrating with everyone and then getting some kid free time with just Bob. It's always nice to sit down for dinner and not worry about anything or have to get up a million times. My mom brought a fabulous cake from Legacy Cakes in Grapevine, TX. 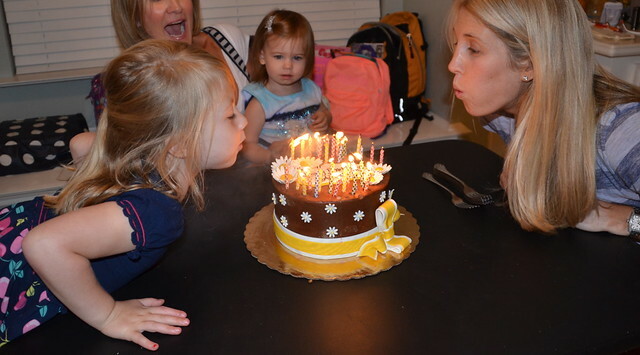 They are the same girls who did McKenna's Busy Bee cake and Ella's ice cream cake. 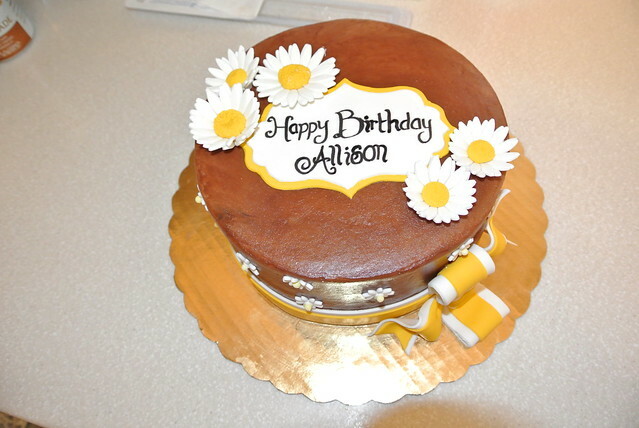 Yellow cake with chocolate icing is my favorite and daisies are my favorite flower. It was perfect. 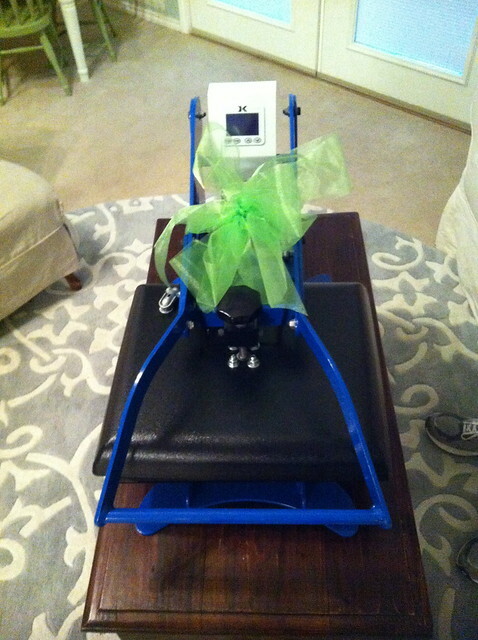 I was so surprised with a very exciting gift from my parents! 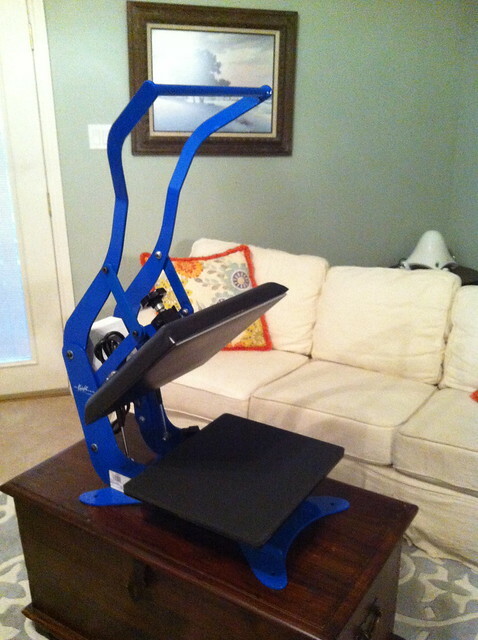 My very own heat press machine! Ahhhh! How cool is that?! I'm not exactly sure how to work it yet but I can't wait to learn how! Hopefully we will have lots of fun shirts in our etsy store soon! This is the only picture I have from Bob and I's trip to Austin. We were "those" people who go in Brookstone just to sit in the $4300 massage chairs. They were amazing. 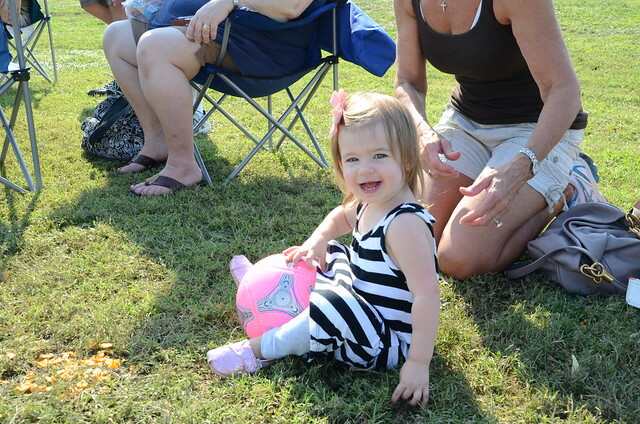 The only bummer about Bob and I going out of town this weekend was that we missed Ella's first soccer game. It wasn't supposed to be her first game. We wouldn't have planned it on her very first game but the first two got canceled because of rain so her third game actually ended up being the first. My parents kept us updated with live texts so we felt like we didn't miss a beat. This was the first text I got. 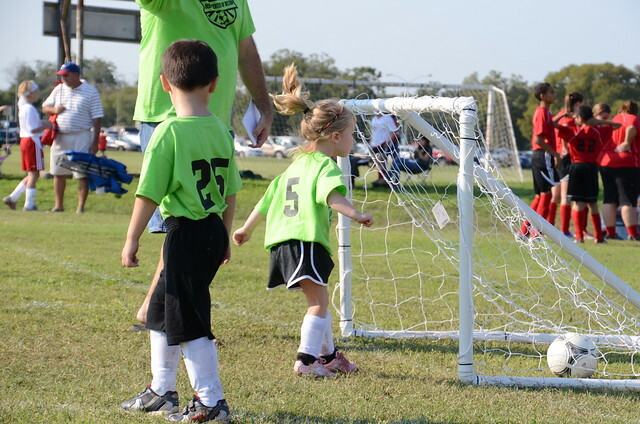 They told me Ella scored the firsts goal! My mom called me laughing so hard at one point. She said that Ella actually made her way to another field and was playing with another team! Love that kid! She was pretty worn out by the first quarter and kept asking my parents if she was done yet. Ha! 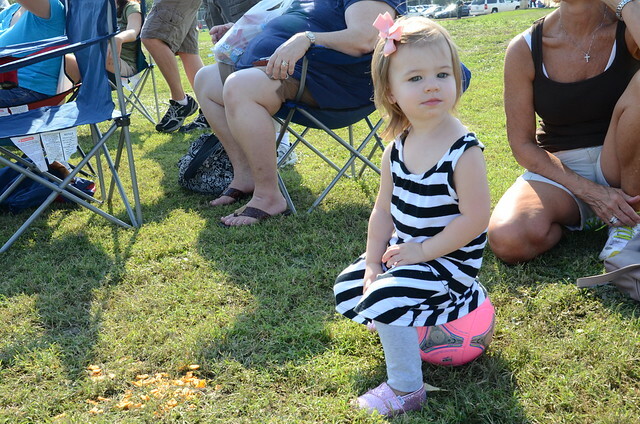 They said McKenna did awesome and enjoyed watching big sister play. 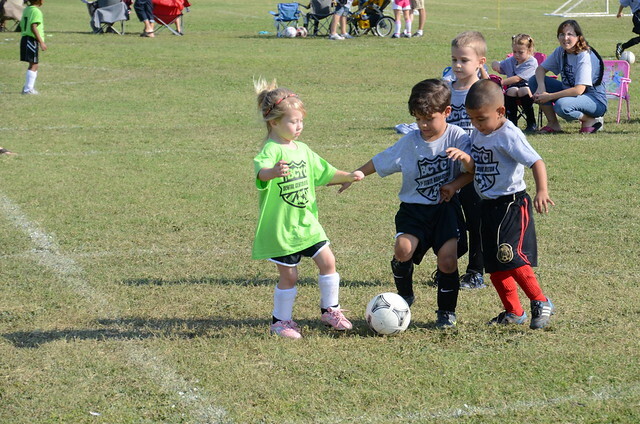 Look at Ella taking on 3 boys! The score was 24 to 1. Ella's team lost. 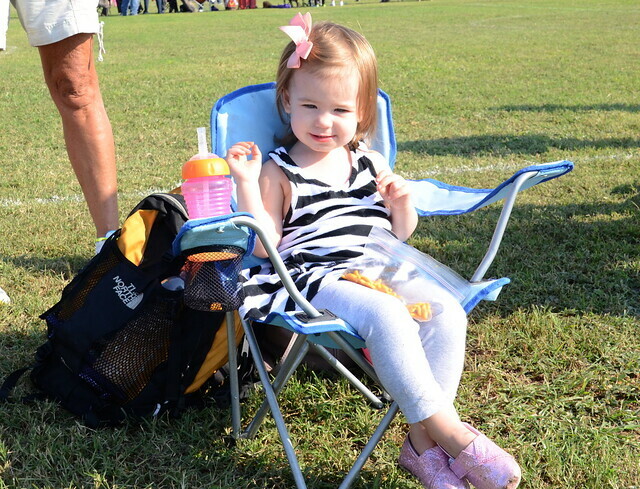 Pretty sure Ella's favorite part was the snacks they got after the game. When I talked to her on the phone that was all she talked about. "We got cookies and juice mom! Cookies and juice!" Good thing snacks are at every game. Thank you to everyone who made my birthday weekend so wonderful! All the birthday wishes on facebook, texts, calls, packages, birthday rap videos via email and cards really made my day! Love you all!